Liberal Democrats topped the poll in last Thursdays county council election with an increased number of votes, as well as gaining St Albans North from Labour, giving a strong boost ahead of next month’s general election. Snap General Election called for June 8! Plans to change business rates that will see massive rises for pubs while there are reductions for large retailers have been slammed by the Liberal Democrats. Liberal Democrats have asked for an urgent explanation for the staggeringly high ambulance waiting times at Watford General - which are, by a long way, the worst across six counties. Liberal Democrat County ​Health spokesperson Chris White said: 'Figures show that more than 1000 working hours were lost while ambulances queued at this hospital - in contrast to just 200 at Luton and Dunstable, itself bad enough. 'Watford General was the worst in the entire region (which includes the six counties of Hertfordshire, Bedfordshire, Essex, Cambridgeshire, Suffolk and Norfolk). In total around one eighth of the delays were at Watford. ‘St Albans district patients need urgent answers from Watford General's hospital management as to whether staff shortages, additional patient pressures, or Conservative cuts - such as the recently scrapped £8.5 million grant for home care - or something else are to blame for these staggeringly high ambulance waiting times. Ed Davey set to speak in St Albans! Liberal Democrat candidate Ellie Hudspith won the Clarence by-election on 20th October with nearly 60% of the vote on a 3.1% swing from the Conservatives. The resounding victory means that Ellie will become the youngest councillor on St Albans and District Council. Cllr Ellie Hudspith, who is 24, has lived in St Albans nearly all of her life, having attended Beaumont School. She now works as Policy and Research Officer for CAMRA on Hatfield Road. Cllr Hudspith said, ‘It’s an honour to have been elected to be councillor for Clarence ward in this by-election. It was great to meet so many local residents on the campaign trail, many of whom were impressed by our record of action in the area and fed up with being taken for granted by the local Tories. Cllr Chris White, Leader of the Lib Dem group on St Albans and District Council said, ‘‘I am delighted to welcome Ellie to the team. She has been an excellent candidate and I am sure she will be an excellent councillor. Daisy Cooper, Liberal Democrat Parliamentary candidate for St Albans, said, ‘ I am over the moon that Ellie has been elected to be the newest councillor for Clarence ward. I am confident she will make a great councillor. In Witney, in David Cameron’s backyard, the Liberal Democrats got their biggest swing from the Conservatives in nearly two decades. It’s clear from both these results that the Liberal Democrats will make sure that we are the voice for the 63% of local residents who voted Remain in June and the increasingly number of people who feel deceived by the Brexit campaign and those who are starting to fear for the future.". 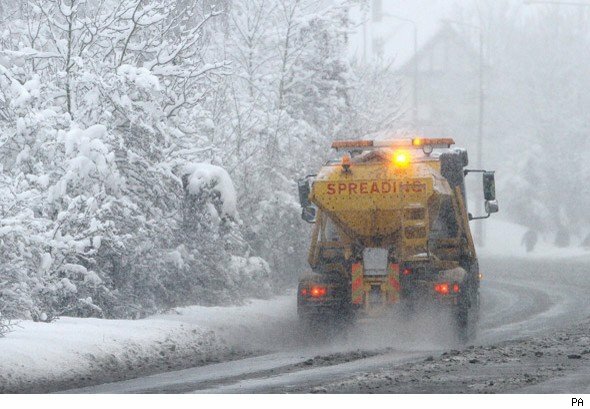 St Albans Liberal Democrats have launched a petition calling for the substantial cuts to gritting in Hertfordshire to be reversed. In Hertfordshire, 48km of routes are being cut, including 53 in St Albans and District including key roads in the city centre and roads servicing schools.